Located at 4400 Day School Place in Santa Rosa. 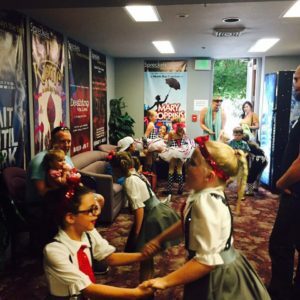 Please have your dancer in costume (make-up not necessary), ready to dance at the theater by your appointed time. Wait in the audience until called upon to dance. Your dancer will practice 2 times. You are free to leave when your dancer is finished. Note: You may take pictures and videos in the theater at this time. Dancers must be at the Jackson Theater by 6:00 pm. 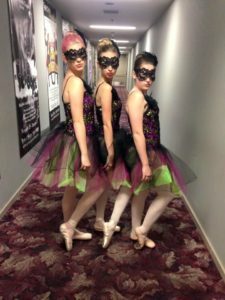 Please take your dancer, in complete costume, hair and make up to the backstage entrance upon arrival at the theater. (Located to the right of the theater entrance once in the lobby.) The backstage helpers will take your dancer to her/his assigned area. Dancers stay with their class until after the Finale. Theater doors open at 6:00 pm. Please DO NOT SAVE SEATS for members of your group who have not yet arrived. DO NOT leave open seats between you and other audience members! Shows are Sell Outs! Note: No videos or cameras are allowed in the theater during performances. FINALE: Dancers are expected to stay with their class until the performance is over. 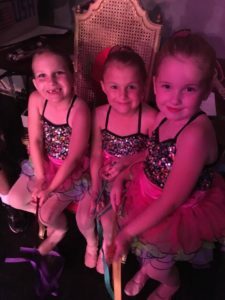 For the Safety of the Dancers – Parents and guests are not allowed backstage at any time during the performances and intermissions unless you have volunteered to work backstage! IMPORTANT!!! If you are in the audience, please choose One Adult from your group to come on the stage at the end of the finale and take your dancer to the rest of your group. If you are not in the audience, please come back by 9:00pm to pick up your dancer. Wait in the lobby for the performance to end and the theater doors to open. You may come on stage and take your dancer home. Please remind your dancer who will be picking them up. Stress with your dancer to stay on stage, in their spots until their adult takes them off the stage. NOTE: Dance tradition is for audience members to bring flowers to their special dancer. MAKEUP/HAIR for Performances: Makeup Not Necessary for Dress Rehearsal but is for the Shows. HAIR – Worn in a bun unless otherwise instructed. Hairnets on the bun work great. Lots of Bobby Pins and Hair Spray! Make sure headpieces are secure with bobby pins. No clips or extra hair decorations allowed. MAKE UP – Girls: Purple eye shadow, Brown/Black mascara, Red blush, Red lipstick. No Glitter. Boys: Brown eyeshadow, eyeliner, blush if desired. COSTUMES – No underwear worn under costumes. Tan body liners are fine. BACKSTAGE ACTIVITIES: Please have your dancer bring quiet activities for their waiting period backstage. Favorite blankets and pillows are great for comfort. Please remember to take items home after each performance. Yes: Coloring books, crayons, reading books, games, quiet toys. No: Play dough, pens, pencils, food or drinks. Please remember that we are guests of the Jackson Theater. Snacks will be provided. TICKET SALES: June = $18. Both shows will sell out this year! We have 2 performances so that all family and friends are able to see their special dancer perform. If there are still tickets available for purchase they will be on sale in the lobby prior to each show. All Tickets are General Admission for ages 3 yrs and older. Anyone sitting in the audience is required to have a ticket. Please fill out order form and return to dance studio. Note: All students participate in both performances so that all audiences can enjoy the complete show. VOLUNTEERS: Your help is greatly appreciated to make the recitals a success! Thank You! PICTURES: Monday, June 11 – Saturday, June 16. Susan Hanks of Susan Hanks Photography will be taking pictures again this year. Dancers come to their regular class IN COSTUME!! Dancers may wear makeup. We will be practicing the performance dance in class too! You may return order forms to envelope on bulletin board or turn in on picture day. Early orders received bonus items for free! These must be turned in prior to Monday, June 11. If your dancer is in multiple dances, you will need a separate order form for each dance. Extra order forms can be found in both studios. Note: No cameras/phones will be allowed in the dance studios during picture week. VIDEOGRAPHER: Jason Pedri of Roaring Mouse Productions will be videotaping our performances again this year. Please return order forms to envelope on bulletin board. Note: Parents may videotape and take pictures during Dress Rehearsal ONLY. SUMMER SESSION: Tuesday, July 10 – Thursday, August 2 = $56. All classes for the Summer Session will be held at the Windsor Dance Academy studio. You will need to sign up through the Windsor Parks & Recreation for the following classes. *Ballet classes ages 3 -5 yrs. & 6 -9 yrs. 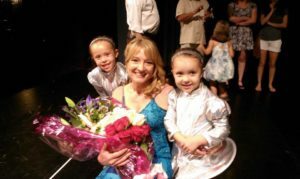 *Jazz class ages 2 – 5 yrs. & 6 – 9 yrs. & 10 – 13 yrs. Please sign up at Windsor Dance Academy studio for all other classes. SUMMER CAMP: FULL!! More camp options will be added next summer to accommodate all who want to participate! Ages 5 – 12 years Welcome! 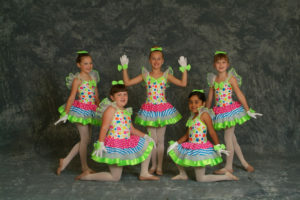 Jazz, Hip Hop, Ballet, Lyrical, Acrobatics, Choreography, Crafts, Games! Studio Performance on Last Day of Camp! 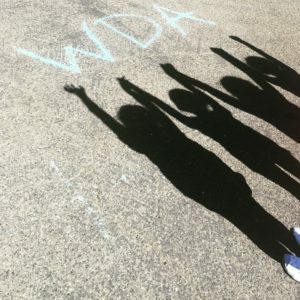 Free WDA T- Shirt! JUNE TUITION: All accounts caught up and paid by Thursday, June 14. June tuition is prorated for 3 weeks. Please see pricing in studios. The Performances Conclude Our Dance Season! We have enjoyed working with all of you!